Although 3D printing has been around for about 30 years, the recent past has seen a huge adoption in additive manufacturing (AM) technology in both the commercial and personal arenas. Low-cost 3D printers have made the technology so affordable that today you can simply walk into a number of retail establishments and purchase a machine for less than the cost of a family vacation! Most consumers and small business are choosing to jump into the 3D printing pool as cautiously as possible, which means they may first choose to invest in lower-cost technologies like SLA of FDM printers. While 3D printers use the term ‘printer’ in their name, that’s about the only thing in common they share with their paper-consuming cousins. While the terms printer and plug and play may lead us to believe that a 3D printer is as easy to set up and use as a paper printer, that simple isn’t true. I discovered this first hand when I bought my first 3D printer in 2013. Back then, most printers featured an acrylic build plate, which most people quickly discovered was better replaced by a piece of tempered glass that was much flatter and allowed for better printed parts. My first printer didn’t even have a self-leveling routine found in pretty much every entry-level printer today. And, don’t get me started about how limited the software and slicers were back then! When we set out to create the Certified Additive Manufacturing Associate (CSWA-AM) learning and exam, our goal was to develop a short learning course that would cover the very basic topics of mainstream and consumer-level 3D printing. We knew we couldn’t cover everything, so we focused on teaching things that would be helpful to the parent looking to buy a machine for their budding young engineer, or for the school teacher looking to buy a machine for the classroom with a grant, for the hobbyist or maker who simply wanted to further the development of their invention of the century, and finally, for the company that was looking to try out the technology to see how they could revolutionize their business. The CSWA-AM program teaches how both FDM and SLA machines work; how parts are designed for 3D printing; and also how both slicer software and today’s CAD tools, such as SOLIDWORKS and 3DExpert, are making the process of 3D printing easier for everyone. Upon completion of the eLearning, the CSWA-AM exam can be taken to provide a validated form of learning with a certification provided by the SOLIDWORKS Certification Program. 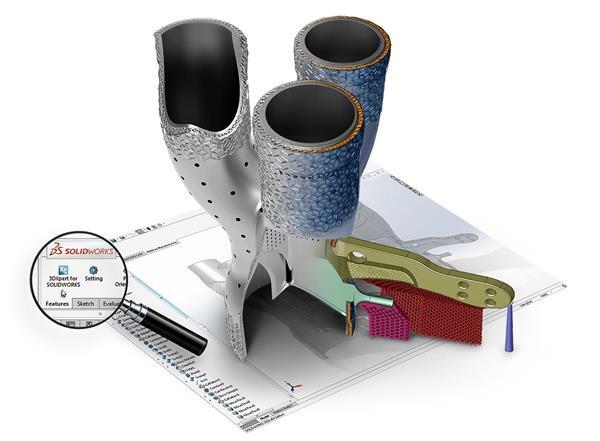 The eLearning is free with a MySolidWorks account and doesn’t require the use of SOLIDWORKS. And while the learning and exam are designed for a user of any CAD program to take, SOLIDWORKS users on subscription can get the exam for free. The exam is also free for educators participating in the SOLIDWORKS Academic Certification Provider Program.